Pirates are in trouble whichever way the High Court goes. Copyright violation will not be tolerated in the UK anymore. If recent changes in law and other actions are anything to go by, then what the UK government wants is to put every pirate on earth in jail. For a period of ten years, that is. More precisely though, the problem is two folds. First, it is the UK government that has come up with a new bill which will land any pirate in jail for a period of up to ten years. Then there are the rightsholder groups. These rights holder groups are adamant that when online users use the internet to stream illegal content from a source that is illegal, then that is a clear sign of copyright violation. In other words, copyright infringement. Only God knows what would happen if everything depended on rightsholders groups. Perhaps even the most popular of YouTubers might end up in jail. Who knows. But right now, the European Union Commission doesn’t quite agree with rightsholders groups on a number of issues. For example, the EU commission says that streaming illegal content from an illegal source may not always be an offense. Interestingly enough, that is the same stance that Trading Standards in the UK has. To break the deadlock (of sorts) comes in a High Court judge. As it turns out this High Court judge thinks that streaming illegal content from illegal sources is definitely against the UK law. 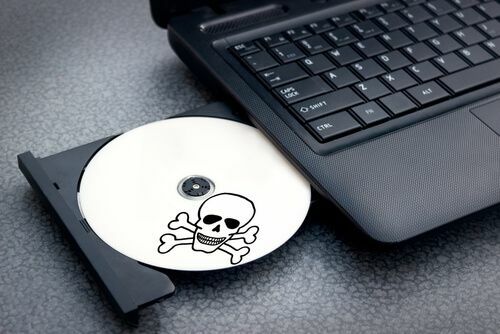 Anti-piracy groups want harsh punishments for pirates and piracy websites. The primary problem with copyright infringements is that nobody really knows anything. Anything about what you may ask. In a frank manner, nobody exactly knows what copyright violation is. A lot of people know what might be considered to be a copyright infringement. And even more, people know the general idea about copyright violations. But no one seems to know what EXACTLY is copyright infringement. Of course, the situation on the ground is not as dire as this. In other words, copyright education has evolved. It has come a long way from its previous concepts in the past couple of decades. More and more internet users are now aware of what constitutes a copyright violation. The activists though, not so much. But keeping those activists aside, it is safe to say that most people know the law. They know what kind of activities will take them on the wrong side of the law. 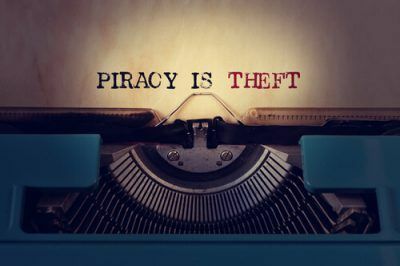 And hence more online users than ever before taking care of the fact that they don’t get themselves entangled in a copyright infringement case. Is The Problem Over Then? The problem of copyright violation and its interpretation is nowhere near a resolution. People, on both sides of the argument, talk at length about what can constitute a copyright violation act. And there seems to be no consensus on the issue. If it were left up to the rightsholders groups, then each YouTube view would get charged a specific amount of money. On the other hand, if the solution was left up to piracy groups, they’ll want all content on the internet to be free. Did we forget to mention free distribution? Of course, we’re living in the real world. So let’s forget about ideal solutions. What we want to talk about here is the level of freedoms. Without a doubt, a lot of debate about copyright violations is related to the level of freedoms. How much can an online user or piracy site share? What can be shared and what can’t be shared. Does piracy even make sense? Copyright violations is a subject that is not completely understood even now. A lot of people throw out the phrases such as “piracy is like stealing”. Let’s say you have two apples. A guy comes in and takes one of those apples. How many apples are you left with? You had two apples but now you have one. Hence, the guy stole your stuff and you were left with less. Evolve that situation to the online world. 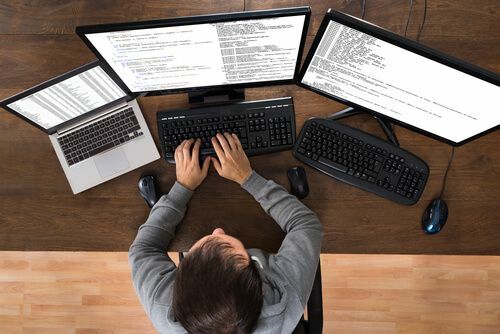 You have written a book and have a copy of it on your computer machine. That same apple-stealing dude comes in and copy-pastes your book onto his USB device. In other words, he stole your book. Now, how many books are you left with? How many did you have before the apple-stealing guy came in? If you have the same amount of books after the theft, then is it really theft? But that’s the argument that pirates make. Online stealing is not like offline stealing. There is still a lot of confusion when it comes to what can and can’t be shared in the online world. In a situation like this, a word from authorities and other law enforcement agencies is always helpful. Right now, we have certain rules about certain situations. It is safe to say that most of the problem causing areas have certain solutions which are readily available. For example, in the UK, many jurisdictions do not allow downloading and sharing of copyrighted content. How do users share content? Well, they can use a client like BitTorrent. Of course, the use of BitTorrent for that purpose if illegal too. This type of act comes under the heading of unlawful distribution of copyrighted content. Needless to say, this is also one of those acts that comes with a punishment from the law enforcement agencies. Should we differentiate between people who download and consume content and people who download, consume and then distribute that content? Others think we should not. Pirates and piracy websites are in for a rough time in the UK. Should both be considered the same? But the question is not as straightforward as that. Or maybe it is, but the answer certainly can’t be a straightforward one. This is, naturally, a very awkward situation to deal with. It is delicate because millions of users around the world engage in streaming content online. So is the UK government going to put all those millions of users in jail? If you ask the legal experts about this issue, you’ll get different answers depending on who you asked. The answer may also vary depending on when you asked a legal expert. Because legal experts themselves are not sure what to make of this situation. They have consistently changed their position on the issue of online streaming in the past couple of years. Because people who consume content through online streaming don’t make any money from the activity. Think of it as an impermanent copy of some other content that a user may have on his/her machine. That is also why some believe that online streaming has no legal status in the sense that no one knows if it should be punishable or not. As they say, online streaming sits in a gray area. On the other hand, rightsholders do not share the same idea. What Do The Rightsholders Think? Of course, rightsholders would not want millions of people stream content for free. But to further understand their position let’s analyze a previous case. Take, as an example, the case of BREIN (a Dutch anti-piracy group) and Filmspeler.nl (a store that sold some devices). Filmspeler.nl sold Kodi devices which were pre-configured for piracy. Some call it piracy-enabled Kodi devices. Anti-piracy groups got to Filmspeler.nl and hence brought a case against the store. When the European Union Court of Justice got involved because of the referred case, some very relevant questions were raised. The hearing took place sometime late in September. One of the questions, thankfully, tackled online streaming head on. The question asked if it was lawful under EU law to temporarily reproduce content through mediums such as streaming if the related content originated from a third-party website where it was made available without permission. Well, you would do well to know that questions of these sorts are never answered directly. Instead, the European Commission took the longer route by drawing analogies. By what we mean that the European Commission deemed streaming as equal to watching. And when streaming and watching are equated then the activity becomes legal. That, of course, is according to European COmmission’s legal opinion. As mentioned earlier in the article, the European Commission thinks that if streaming is equal to watching then the viewer has done nothing illegal. Now the Advocate General will recommend suggestions based on the aforementioned conclusion. These suggestions will then be followed up with a final verdict. The European Union Court of Justice will make the announcement sometime later this year. But since that moment is yet to come, we can use this opportunity to establish some facts. One of them is that regardless of the verdict anti-piracy groups will continue to insist that streaming illegal content, is (no other way to put it) illegal. Needless to say that if anti-piracy groups think that they won’t face any obstacles in propagating that opinion then they have another thing coming. Just this month the Derbyshire Council Trading Standards in the United Kingdom came out with its own opinion. Before we get to the opinion, we would like to say that fortunately for one side of the issue, the Derbyshire Council Trading Standards sided with the European Commission on this particular issue. A spokesperson of Derbyshire Council Trading Standards said that accessing premium paid-for content without a valid subscription was considered by the industry as unlawful access. 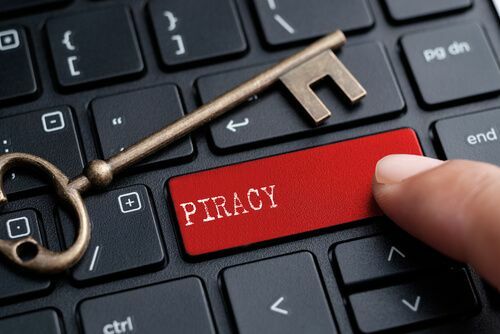 The spokesperson further said that on the other hand streaming something online rather than downloading a file was likely to exempt from copyright laws. Pirates Should Not Rejoice Just Yet. And For Good Reason. Pirates who use streams to access illegal content from illegal sources should calm down. Of course, they are free to go berserk any time they want to but we think this isn’t the time. Because of a certain Justice Arnold who has thrown his opinion into the mix as well. But who exactly is Mr. Justice Arnold? Well, in short, he has held handled several significant copyright cases in the United Kingdom. He has given his services to cases such as The Pirate Bay and Newzbin2. Also, take note that he wasn’t really asked to give his opinion no the matter. But he went ahead anyway. It should also be mentioned that Arnold did not directly address users who stream copyrighted content as breaking the law. However, he did manage to give his opinion in relation to the recent injunction application forwarded by The Premier League. What Is Arnold Going To Do? Now, we should all understand that Arnold had to consider a lot of things before handing down a judgment. He had to determine whether the users and the operators of piracy servers violated copyright laws. Mainly, The Premier League’s premium content. Only after giving this aspect its due time could he issue an order to block or unblock pirate streams of The Premier League matches in the UK. As far as the operators go, the decision could not be simpler. In other words, the operators of piracy servers have a copy of The Premier League premium content. And they use this content and then distribute it to the public without prior permission. From this perspective, the case is as open and shut as any case can be. Moreover, a case of this nature can successfully be dealt with under current UK laws. The same cannot be said about users who stream online content. Justice Arnold, as resourceful as he is, seems to have come to a decision. Basically, his judgment said that even though users did not distribute content, they did make illegal copies of The Premier League premium content. It was inconsequential if the users only streamed the content to a device. The Judge said that in the course of streaming the Works, user who accessed a stream caused their computer, or mobile device or even set-top box to create copies of the Works in the memory of those devices. Additionally, he said, in some cases, a substantial part of a Work may have been copied in a single frame. Of course, there are more details to the case then we have discussed here. What happens from there on end is anyone’s guess. The most impactful opinion will eventually have to come from the European Court of Justice. And that’s why most of the parties involved in this issue are waiting for it. European Court of Justice’s opinion will also grant the matter more clarity. Consumers who stream content online will have to sit tight for a while. And they will be better of using a VPN service in any case.